A chandelier is like a piece of jewellery that has the power to illuminate and elevate any space. With a striking contemporary look, the Bengal Gramophone Chandelier easily revives any room or home office with its charming design. 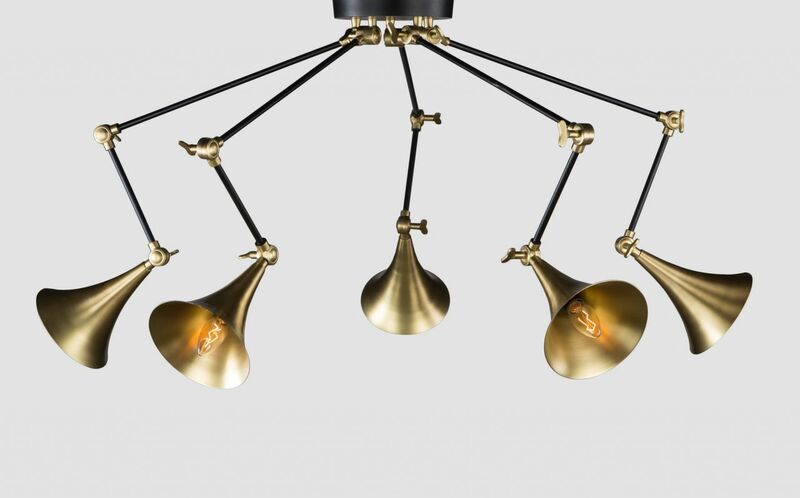 This contemporary design will remind you of the gramophone music era and will bring in alluring light to your interiors. 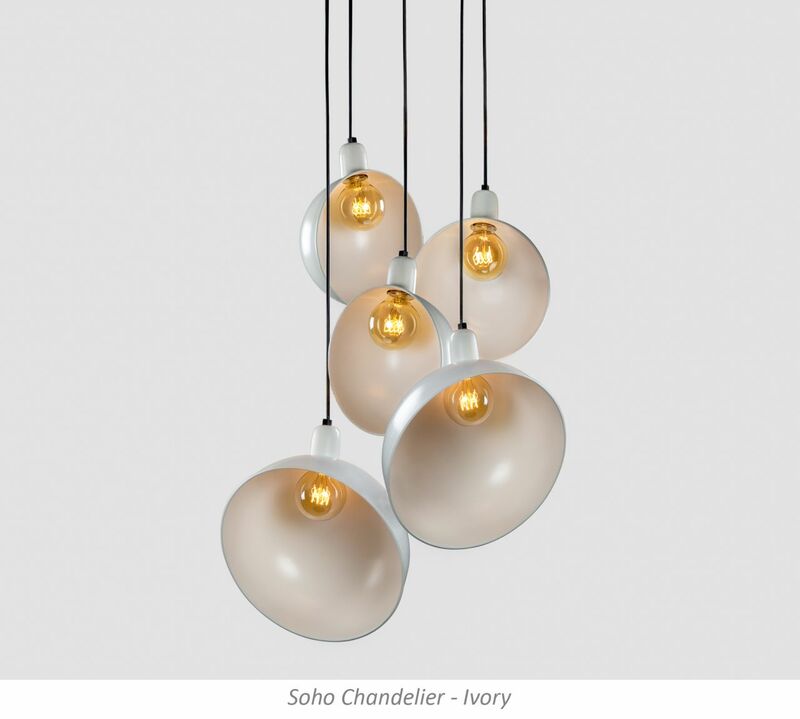 This vintage inspired chandelier design could serve as an accent lighting or subtly illuminate any modern loft space. 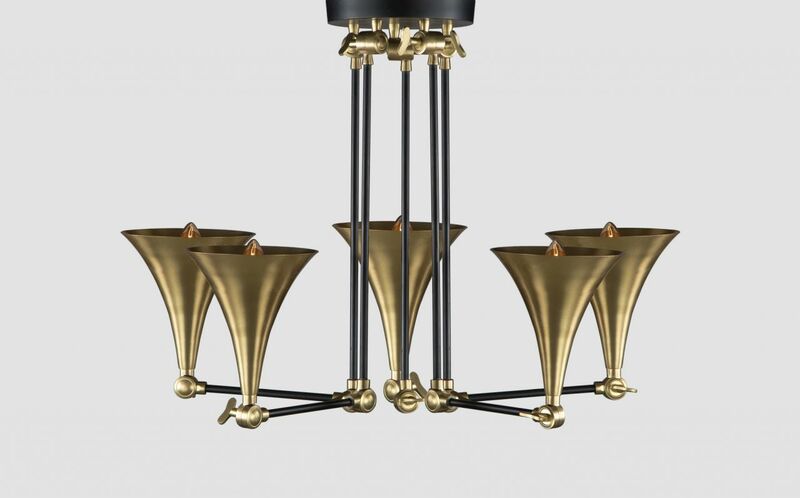 It features five sturdy metal arms that can be adjusted from the top with butterfly screws, giving this chandelier a unique look each time. Long established as the entertainment district and known for its vibrant nightlife, Soho is a place you will not forget so easily. So is our unique Soho Chandelier. A perfect amalgamation of chic and industrial, this design will add that extra oomph to your interior spaces. 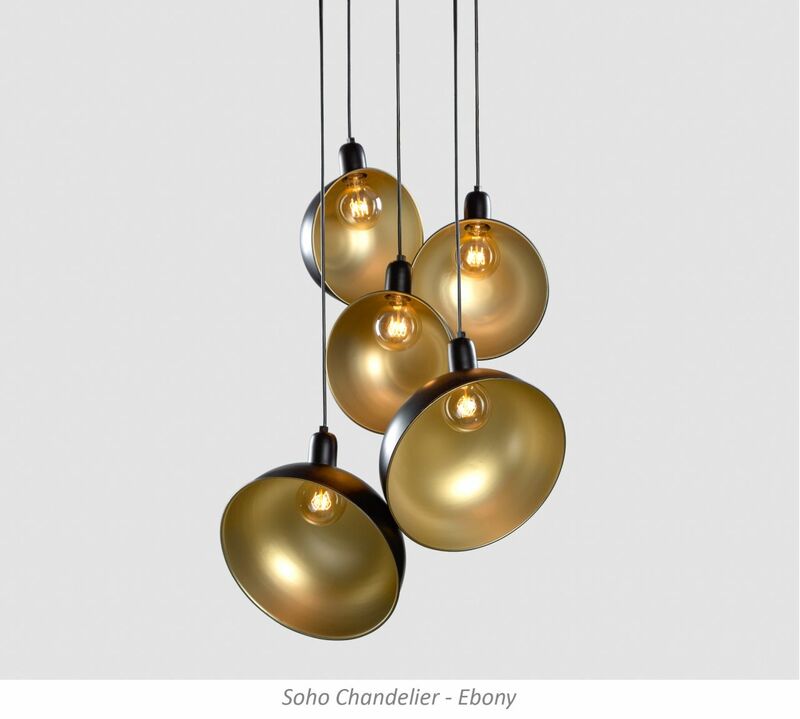 Directing light in all directions, these low-hanging and adjustable pendants can bring exuberant light and create a euphoric atmosphere.